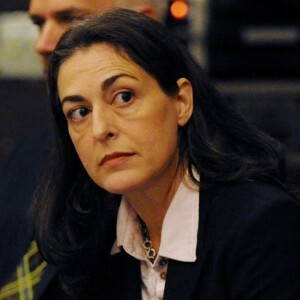 Deb Gross serves as a Member of Pittsburgh City Council, where she represents Pittsburgh City Council District 7. Deb was elected on November 5th, 2013, and was sworn-in on December 6th, 2013. Deb’s education includes her Bachelor’s Degree in Sociology from the University of Florida and a Master’s Degree in Sociology from Duke University. Deb is a lifelong progressive, community organizer, strategic planner and fundraiser. As a champion for Pittsburgh neighborhoods, Deb has a track record of transformative involvement with many community development organizations including the Lawrenceville Corporation; Mildred’s Daughters Farm; the Bloomfield-Garfield Corporation; the Greater Pittsburgh Arts Alliance; and the Women and Girls Foundation of Southwestern Pennsylvania. Deb’s background in community advocacy also includes having started Pecolater, a business whose purpose was to help community development corporations and non-profits strengthen ties within Pittsburgh’s business community. When she is not in the office she enjoys quality time with her wonderful family. Her husband, Stan Caldwell, works at Carnegie Mellon University and she has a daughter, Theodora, and a young son, Stanley. Deb and her family live in Highland Park.